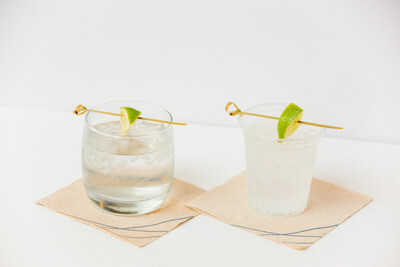 SEATTLE, May 21, 2018 /PRNewswire/ -- Alaska Airlines and Lonely Whale today announced the airlines' initiative to replace single-use, non-recyclable, plastic stir straws and citrus picks with sustainable alternatives in its airport lounges and on all domestic and international commercial flights starting July 16, 2018. The initiative is one of many in Alaska Airlines' push for sustainability and goal of reducing its inflight waste per passenger going to landfills by 70 percent by 2020. "Whether providing fantastic service or leading in sustainability, caring about people and communities is in our DNA," said Diana Birkett Rakow, Alaska Airlines' vice president of external relations. "Without a doubt, we fly to some of the most beautiful places on earth, including many communities that depend on healthy oceans. We're thrilled to partner with Lonely Whale to take this next step in our sustainability journey, and help keep the places we live and fly beautiful for years to come. It's especially appropriate now as ending plastic pollution was the theme for Earth Day this year." 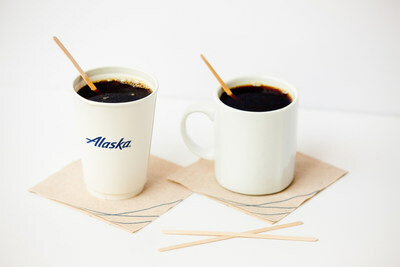 On the blog: Stirred to action: Alaska Airlines to ditch plastic straws in favor of marine-friendly stir sticks. Plastic straws are of special concern because they cannot be recycled and they've been shown to kill birds and other marine life. In 2017, Alaska Airlines handed out 22 million plastic stir straws and citrus picks. Those two items will be replaced starting in July with Forest Stewardship Council (FSC) certified, white birch stir sticks and a bamboo alternative for the citrus pick. Non-plastic, marine-friendly straws will be made available to guests with special needs and upon request. Alaska Airlines is excited to partner with Lonely Whale, an incubator that drives impactful, market-based change on behalf of our ocean. Last year, Lonely Whale launched "For A Strawless Ocean," a free public resource to reduce ocean plastic pollution. Starting with the elimination of single-use straws, the resource was designed as a toolkit to educate and demonstrate practical use cases. "Assisting Alaska Airlines in removing plastic straws is an incredible opportunity," said Dune Ives, Lonely Whale executive director. "The airline has the most comprehensive inflight recycling program of any U.S. carrier to date, and their previous and future commitments to biofuels and sustainability makes them the perfect partner for Lonely Whale. The banning of single-use plastic beverage straws sets a new standard for the travel industry, and we couldn't be happier that Alaska Airlines is the first. U.S. airline to lead the charge." "Building on our grassroots, employee-led recycling program, we're thrilled to take the next step to protecting our land and oceans by removing single-use non-recyclable plastic straws from our planes," said Jacqueline Drumheller, sustainability manager for Alaska Airlines. Lonely Whale is an award-winning incubator for courageous ideas that drive impactful market-based change on behalf of our ocean. Founded in December 2015 by Adrian Grenier and Lucy Sumner, Lonely Whale is inspired by the power of community to create the change needed to ensure a healthy planet. Lonely Whale is working towards a new era of radical collaboration, together facilitating the creation of innovative ideas that push the boundary on current trends in technology, media and advocacy that positively impact the health of our ocean. 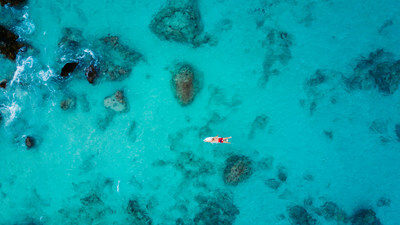 Lonely Whale's work has been recognized by Fast Company's World Changing Ideas, the Shorty Awards, and the ADDY Awards. Lonely Whale is a proud supporter of the UN Environment's #CleanSeas campaign. To learn more and support, visit www.lonelywhale.org or follow @LonelyWhale.